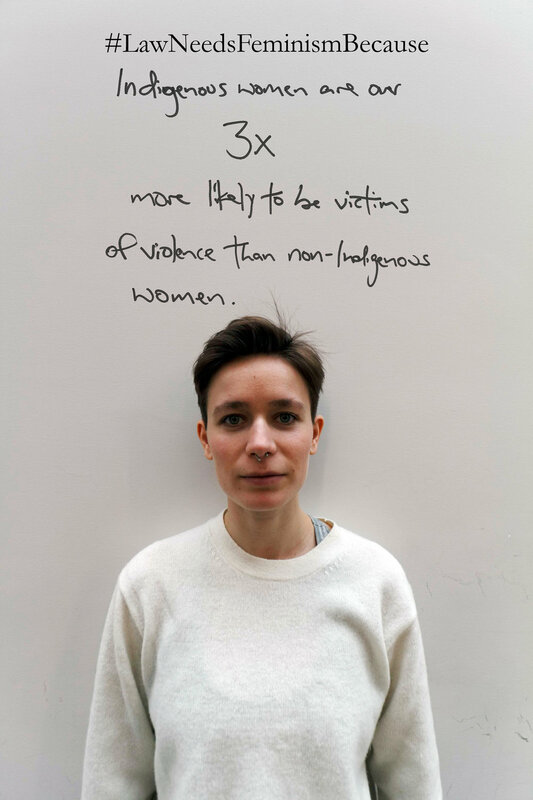 This photo campaign was run by UofT Women & the Law with photography by MacIsaac and graphic design by Bridget McGlynn. Law Needs Feminism Because “I shouldn’t have to be ‘one of the boys’”. Law Needs Feminism Because “Women advocates would be more powerful without worrying about seeming ‘likeable’”.